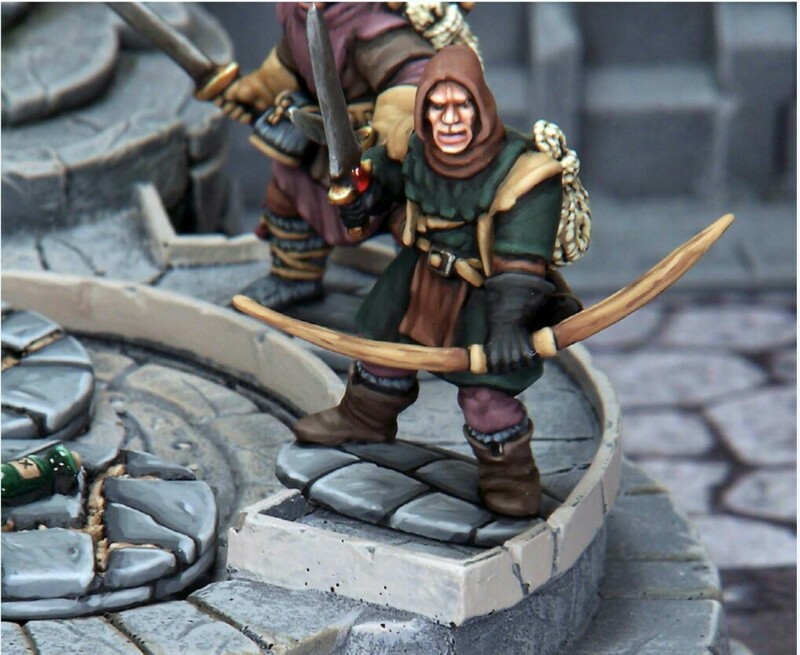 Sellsword is a digital-only mini-expansion for Frostgrave: Fantasy Wargames in the Frozen City. This expansion gives wizards the option to hire a captain, a special type of soldier, to help lead their warbands. Unlike other soldiers in the game, captains may choose their own weapons, have a few special abilities known as ‘tricks of the trade’, and gain experience. Of course, such experience and versatility comes at a price, so captains are going to want more than the retainer given to most soldiers – they want a cut of the treasure! Also included in this expansion are three new scenarios designed to give soldiers more of a chance to shine. All feature some type of limitation or obstacle to spell casting that will force wizards to think a bit more about how much they rely on their magic. So what makes a Captain different? Well as mentioned above you can gice a Captain equipment to improve them including magical weapons, that’s the good side, the down side is that after each game you have to pay a retainer to your captain, the base rate is ten percent of the treasure you loot from the field, plus 1% for each level of experience that the captain has so a level 13 captain will take 13% of your ‘loot’. Captains gain experience in the same way as wizards, although they use a different table, and levels are calculated the same way, for each level gained you can up a stat to make the captain better, or gain a trick of the trade, now while I wont give the game away by spoiling all the tricks there is two really good ones, one allows a group activation, in the same manner as wizards and another which adds +4 to one Will roll which can make a great difference to the game. These rules are optional, so probably best to discuss with your opponent first and use in a campaign would need to be set out by the organiser, but with extra scenarios I cant see why you wouldn’t, as although they look fun on paper I cant see to many wizards taking a captain to begin with as the retainer will slow down growth after a few games, captains can be fired, but they still need to be paid for the mission they have just completed and will take all their gear with them. Captains, overpowered or well balanced? Only a good campaighn scrap will tell!